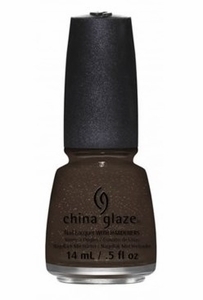 China Glaze Nail Polish, Lug Your Designer Baggage, 1325, .50 fl. oz. Milk chocolate brown creme nail color with matte dark gold flakes.